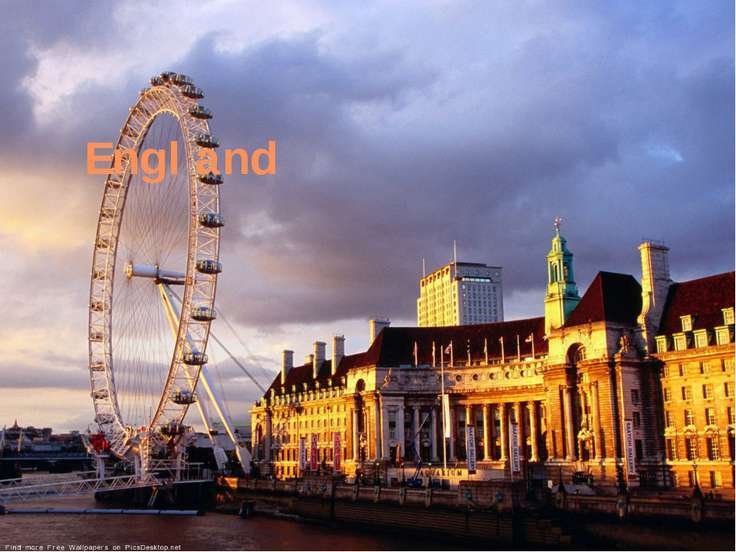 The North of England is a country of factories (industrial), coal-mining, mashine-building, chemical, paper, aircraft and computer ingeneering. There are not many towns here, but all the towns are big. The climate is severe than in other parts. It snows much, the winds are strong. Some small rivers freeze. The North-West (Cumberland) or the Lake District is very small and beautiful. 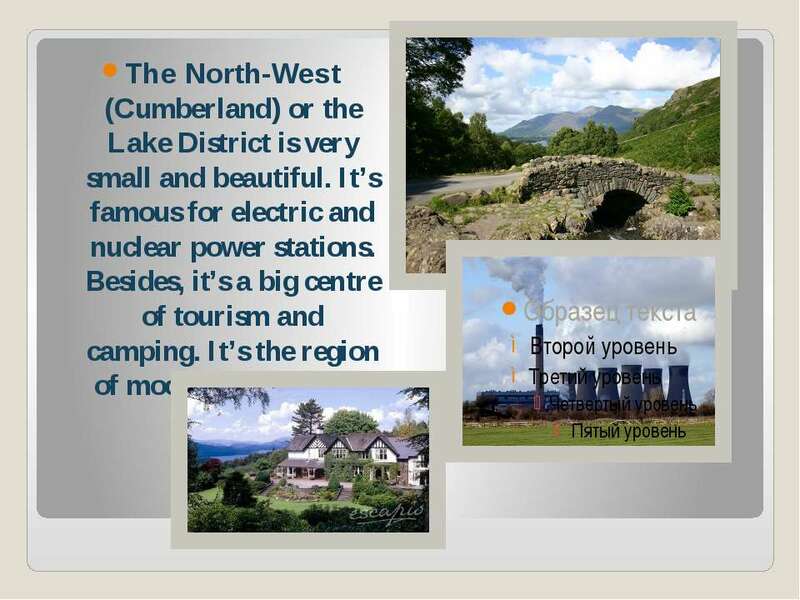 It’s famous for electric and nuclear power stations. Besides, it’s a big centre of tourism and camping. 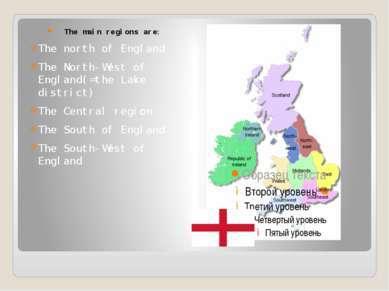 It’s the region of moors and heather. 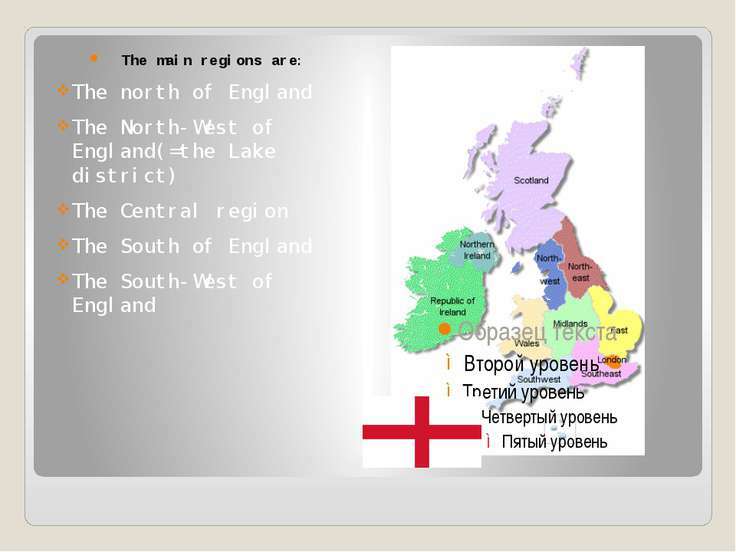 Eastern region is on the eastern coast. It consists of two parts: Lincolnshire and East Anglia. 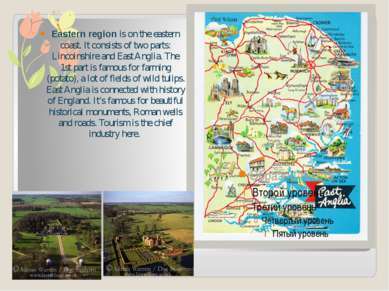 The 1st part is famous for farming (potato), a lot of fields of wild tulips. 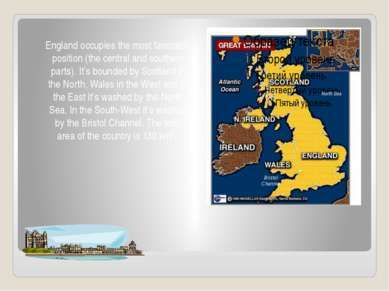 East Anglia is connected with history of England. It’s famous for beautiful historical monuments, Roman wells and roads. Tourism is the chief industry here. The Central part is the largest. 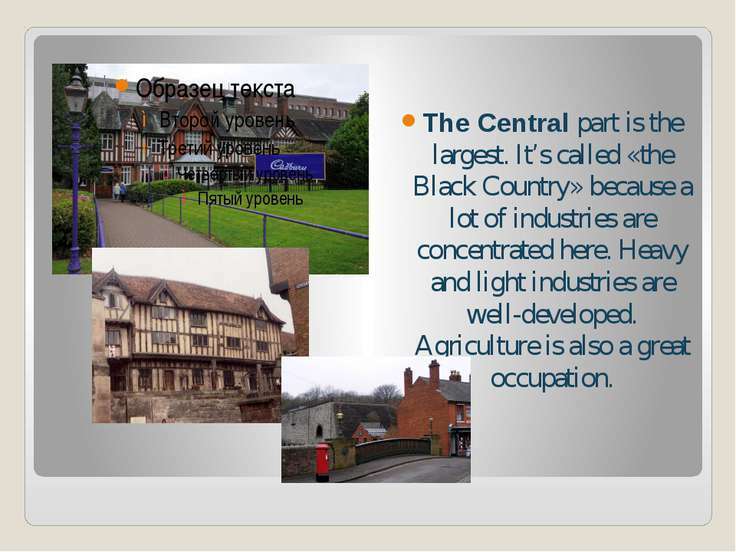 It’s called «the Black Country» because a lot of industries are concentrated here. Heavy and light industries are well-developed. Agriculture is also a great occupation. 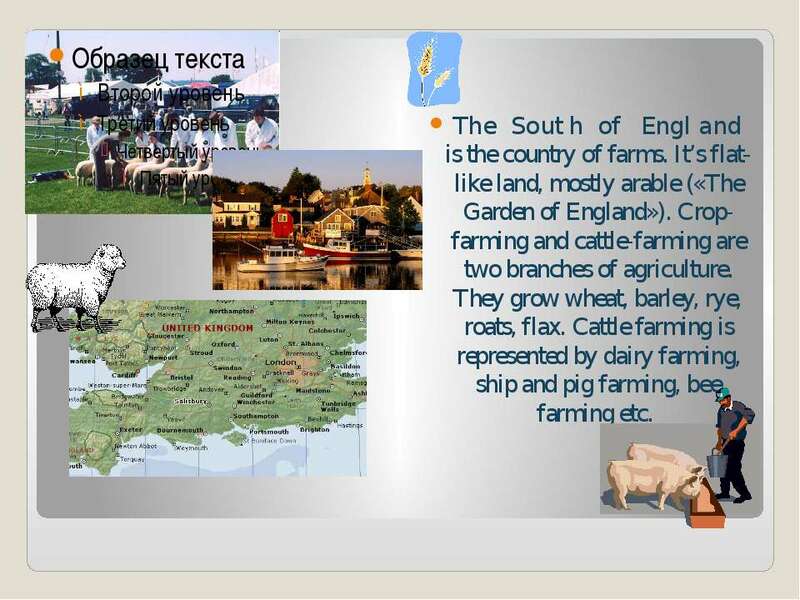 The South of England is the country of farms. It’s flat-like land, mostly arable («The Garden of England»). Crop-farming and cattle-farming are two branches of agriculture. They grow wheat, barley, rye, roats, flax. 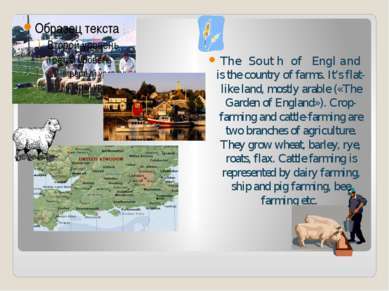 Cattle farming is represented by dairy farming, ship and pig farming, bee farming etc. 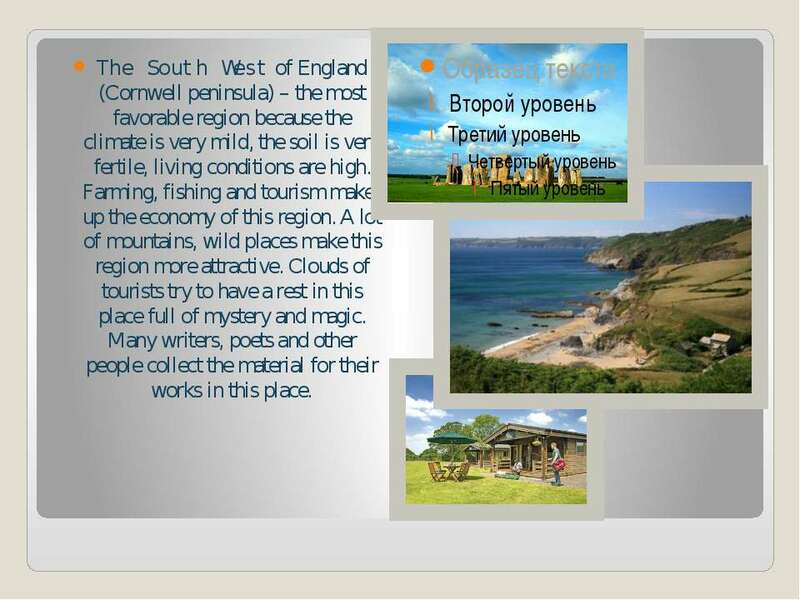 The South West of England (Cornwell peninsula) – the most favorable region because the climate is very mild, the soil is very fertile, living conditions are high. 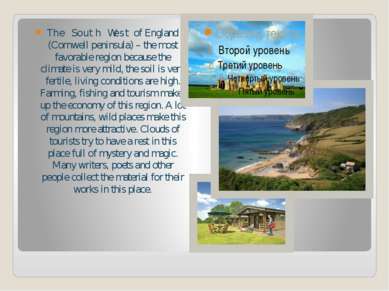 Farming, fishing and tourism make-up the economy of this region. A lot of mountains, wild places make this region more attractive. Clouds of tourists try to have a rest in this place full of mystery and magic. Many writers, poets and other people collect the material for their works in this place.